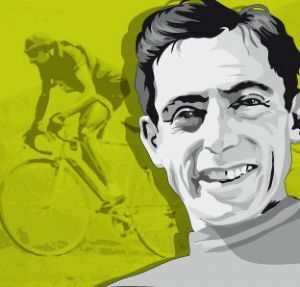 With Giro fever sweeping the club and Northern Ireland, we thought we’d review a couple of books about Giro superstar and Italian campionissimo Fausto Coppi. 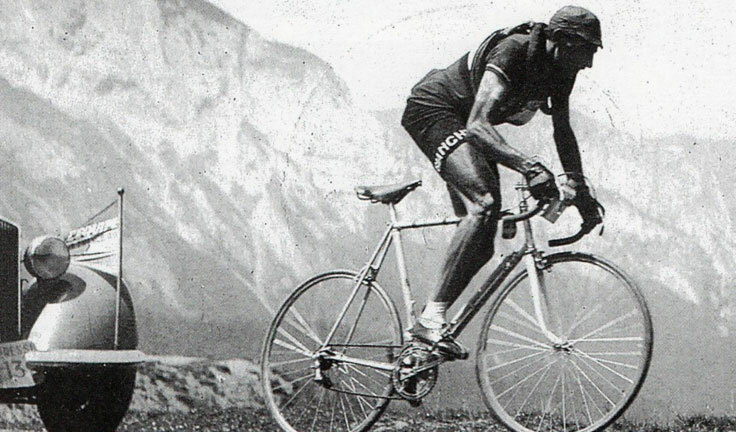 Coppi won the Giro 5 times, a remarkable record given that his career was interrupted by the Second World War. He also won the Tour twice, numerous one day classics, and world championships on road and track. 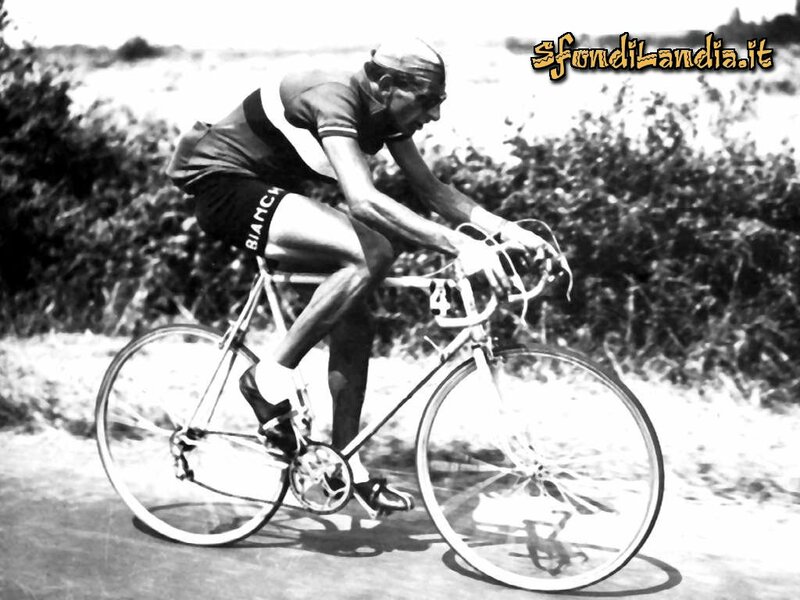 First up is “Coppi” by Peter Ducker. This is a classic biography by a fan. It feels like many of the stories have come from conversations in bike shops and period media reports, and it is none the worse for this. Coppi’s roots in rural Italy, his relationship with the blind masseur Biagio Cavanna, the rivalry with Gino Bartali, and his crushing victories when he was on form are all here. Our second book is “Fallen Angel – the passion of Fausto Coppi” by William Fotheringham. This book is far more thorough, with in depth interviews with some of the surviving characters, and a huge depth of other source information. William also does a far better job of setting the context, showing how Coppi didn’t just win bike races, but helped lift Italy from the devastation after the War, to its place as a major force in Europe. 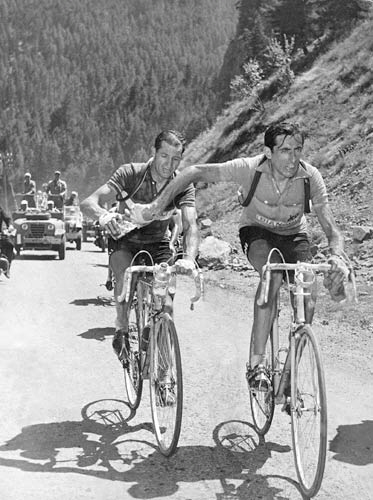 The great rivalry with Bartali is analysed, and rather than the black and white image presented by Peter, we see that the two could sometimes work together when it suited them – as seen in the famous water sharing photo. Both books cover his affair with the mysterious “women in white”, although once again it is William who digs deeper, showing the extent to which Giulia Occhini manipulated our hero. In some ways, William is what I would call the “David Brailsford” of biographers, looking for those incremental details that will fully explain the man. This leads to a fascinating book, and a much deeper understanding of Coppi and why he was (and is) so revered. But maybe it also slightly undermines his legendary status by revealing some of his human frailties. As Paul Robinson says, “you’re thinking too much again…”. Final footnote – neither book mentions Coppi’s visit to Ireland for a track meeting in 1959.